That time of year is coming up; the time when you start thinking about which card your business will be sending out for the holidays. Is your business looking for a fun alternative to boring corporate Holiday cards? Look no further. Any of our Papillon Press holiday cards are available to be customized with an inside greeting of your choice. We’ll even design it for you! 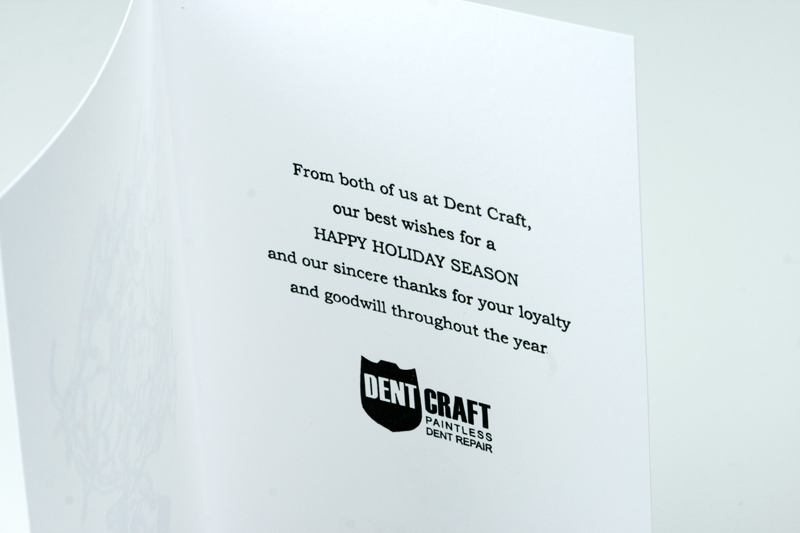 Below is a card we did last year for Dent Craft. They chose our Festive Reindeer card and requested that the string lights be printed in their company colours, with an inside greeting printed in one colour. Interested? Go ahead and fill out the Get An Estimate form and we’ll get back to you with a quote. 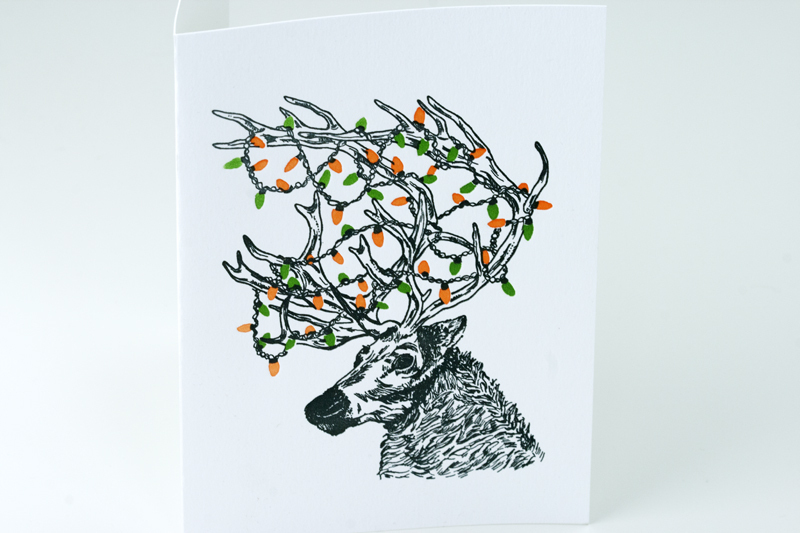 A one-colour greeting is printed inside the customized Festive Reindeer card.